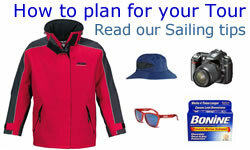 Select a package - spaces are limited so please book in advance! 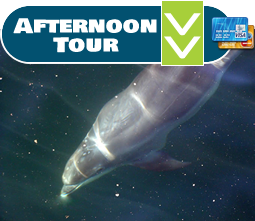 Return via open sea with chance to see dolphins, minke whales, basking shark (in season) and other species including humpback whales occasionally. Wildlife guide on board and also spotter / marine biologist. 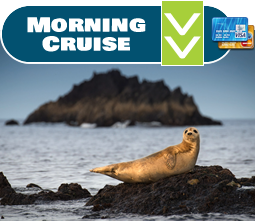 Our priority this trip is to show our passengers marine ecosystems and the marine habitats of not only cetaceans but also the extensive bird life around the Blaskets (including the always popular puffins) and also grey seal habitats and basking shark, sunfish and other species depending on the season. ...and beautiful Trá Bán [White Strand] and resident population of grey seals at Carraig Fhada. 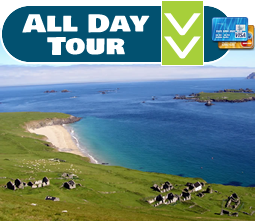 Return via “Wild Bank” in Dingle Bay with chance to see dolphins, minke whales and basking shark (in season). A short, often productive trip, sometimes in very calm morning sea conditions. ...and weather conditions for the day, to view spectacular rock formations of Cathedral Rocks, puffins, Manx shearwaters and other seabirds.